This ranch style home on a half acre lot has captivating views of the city as well as the surrounding foothills. Besides having a main floor master there is a main floor office that could easily be used as another bedroom. Plus, there are two more bedrooms in the lower garden level and another family room. Spacious great room, dining area and kitchen – BONUS – 256 sq ft sunroom which opens to the low maintenance backyard. An over sized 3 car garage will fit three cars plus a golf cart. 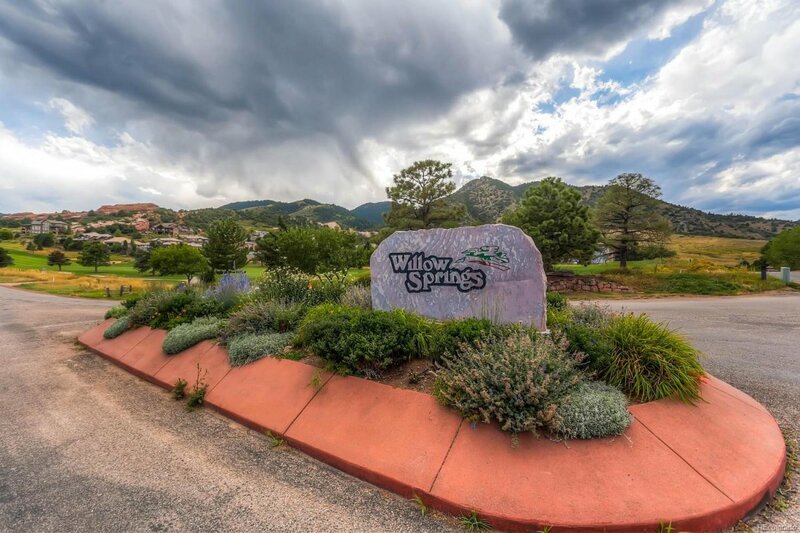 Homeowners have access to over 800 acres of Private Open Space with trails for hiking and biking. Red Rocks Country Club is in the neighborhood with 18 holes of championship golf, swimming, dining and more. There is a neighborhood playground / park a few houses down the street that the kids love playing at. See floor plans and more pictures at http: / / 16435wildberry.com / Great empty nester home as well.